La XLII Sesión Científica de la SGE se va a celebrar en el Campus de Móstoles de la Universidad Rey Juan Carlos, el 25 de Mayo del 2007. El plazo para el envío de manuscritos acaba el 15 de Febrero, una vez aprobados se publicarán en Geogaceta. Se va a celebrar la actividad titulada "Herramientas para obtención y análisis de datos de superficies planetarias"
ideal candidate would be a computer scientist who has research interests focused on matching of three dimensional (3D) point sets between pairs of surfaces, or between surface meshes. The position requires a good knowledge of non-rigid and rigid registration of surfaces. The fellow will concentrate his research on the representation in 3D and the uncertainty of estimated transforms (by error estimation) as well as on differences between point-based and feature-based (curves, surfaces) similarity measures. The position is supported by the European FP6 Marie Curie Programme. The researcher will have access to laboratory space, computing equipment, relevant analytical software and computed tomography data of cross-sectional fetal, neonatal and postnatal samples of H. sapiens, as well as postnatal samples of Pan paniscus (Bonobo), Pan troglodytes (Chimpanzee) and South African fossil hominids. Mobility is essential, since the researcher would be required to travel between Toulouse and Marseille, in the South of France. 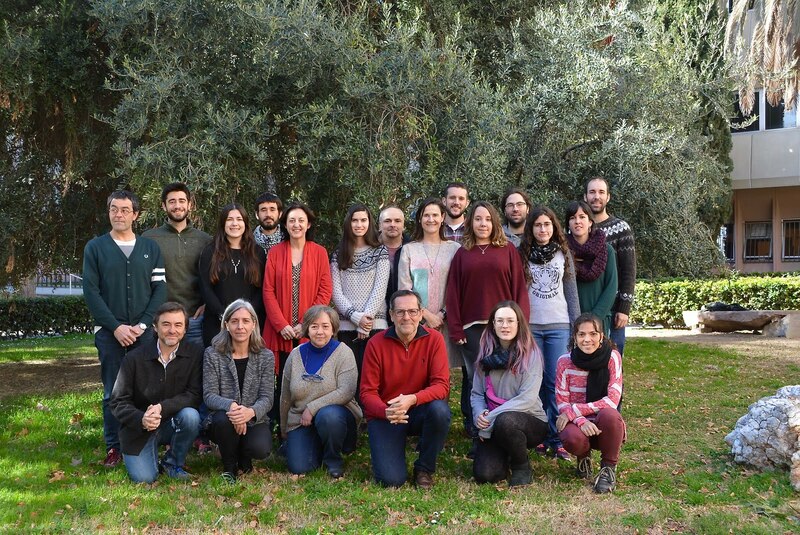 She/he will also be required to spend time with other groups involved in the European Virtual Anthropology Network, as well as participate in international conferences, training courses, workshops and seminars organised by the network. The project will focus on the three dimensional assessment of the spatial relationships between various dental and skeletal components of the head in order to reveal mechanisms of development and evolution. Forensic medicine will represent another important application of the project and will consist in the analysis of some infra-cranial skeletal parts (mainly the pelvis). Experience in methods, models and tools for the analysis of virtual objects will be advantageous. Sander, P. M. 2000. Long bone histology of the Tendaguru sauropods: Implications for growth and biology. Paleobiology 26:466-488. Pyzalla, A., P. M. Sander, A. Hansen, F. R., S.-B. Yi, M. Stempniwicz, and H.-G. Brokmeier 2006. Texture analysis of sauropod dinosaur bones from Tendaguru. Materials Science & Engineering A 437:2-9. Ferreyro, R., N. Zoeger, N. Cernohlawek, C. Jokubonis, A. Koch, C. Streli, P. Wobrauschek, P. M. Sander, and A. Pyzalla 2006. Determination of element distribution in sauropod long bones by micro-XRF. Advances in X-ray Analysis 49:230-235. Sander, P. M., N. Klein, E. Buffetaut, G. Cuny, V. Suteethorn, and J. Le Loeuff 2004. Adaptive radiation in sauropod dinosaurs: Bone histology indicates rapid evolution of giant body size through acceleration. Organisms, Diversity & Evolution 4:165-173. Sander, P. M., and N. Klein 2005. Developmental plasticity in the life history of a prosauropod dinosaur. Science 310:1800-1802. Sander, P. M., and N. Klein 2006. An unusual bone histology and growth pattern in/ Ampelosaurus atacis/, a titanosaurid sauropod from South France. Journal of Vertebrate Paleontology 26:85A. Sander, P. M., O. Mateus, T. Laven, and N. Knötschke 2006. 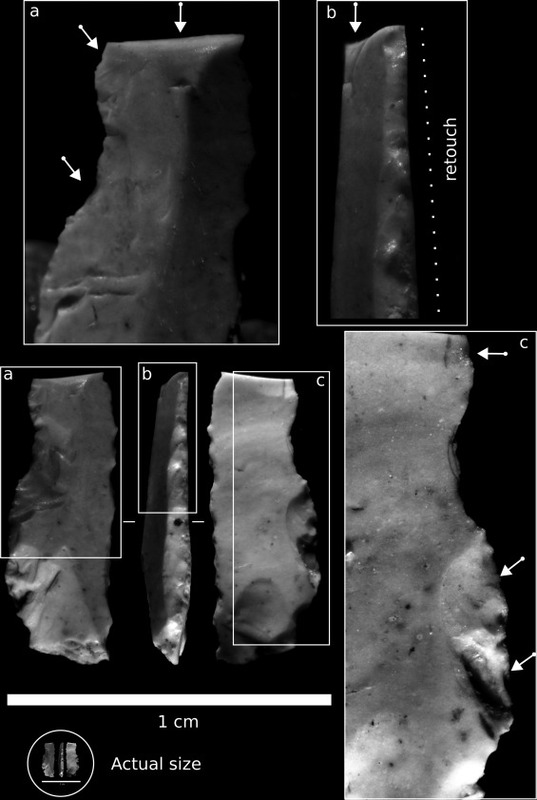 Bone histology indicates insular dwarfism in a new Late Jurassic sauropod dinosaur. Nature 441:739-741. La revista norteamericana PNAS acaba de publicar un artículo reestudiando la capacidad de vuelo de uno de los más famosos dinosaurios de la Formación Yixian (China). 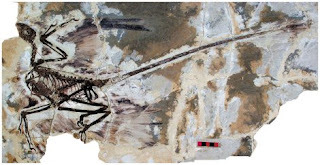 Los investigadores Sankar Chatterjee y Jack Templin, del Museo del Departamento de Geociencias de la Universidad Tecnológica de Texas (EE UU), señalan que su nueva evaluación de las articulaciones de las patas de Microraptor gui, así como la orientación de las plumas indican que la posición en tándem no les habría permitido elevarse ni caminar sobre el suelo. En una simulación informática demuestran que Microraptor podía subir y bajar en el aire en una operación ideal para recorrer las copas de los árboles y por tanto sería un dinosaurio planeador, no habiéndo alcanzado el vuelo activo. Nos ha llegado información sobre la nueva convocatoria de Synthesis.